Ottawa is home to a new predator: the Austroraptor — no, it’s not a Tyrolean-hat wearing reptile dressed in lederhosen that flies. Rather, it’s a cross between a Velociraptor and a Tyrannosaurus. And no, someone didn’t just open a Jurassic World in the Gatineau Hills (we still have our fingers crossed!). 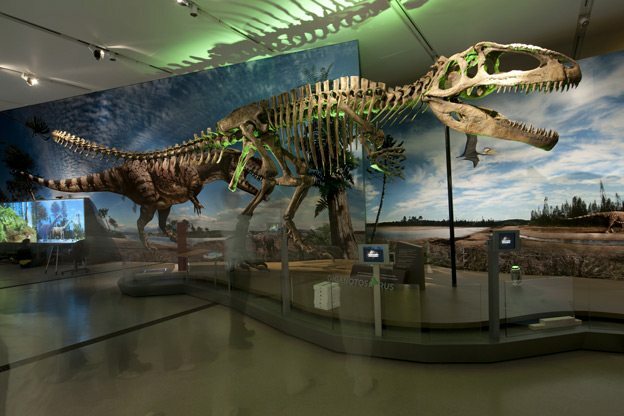 The Canadian Museum of Nature is welcoming visitors into the lost world of Ultimate Dinosaurs. These dinos are bigger, badder, meaner… and one-of-a-kind. Meet uncanny dinosaurs from the ancient continent of Gondwana, from the Austroraptor to the Giganotosaurus — who dwarfs your average T-Rex.From full skeletons and fossils, to digital video walls, these unique creatures are recreated in this special exhibit open to September 5. What will surprise visitors about this exhibit? Ultimate Dinosaurs is so great because it offers visitors — particularly those of us here in North America — something we haven’t seen before. 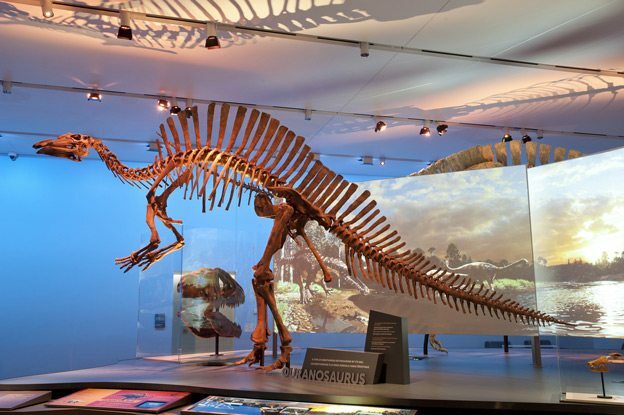 Predictably, most museums in North America feature dinosaurs from our own continent. But Ultimate Dinosaurs features fossils from the southern hemisphere, including Africa, South America, and Madagascar. You’d have to travel thousands of kilometres across the equator to see the same fossils displayed elsewhere. Ultimate Dinosaurs brings these strange, alien creatures to us. Why is this exhibit important? Beyond simply featuring bizarre dinosaurs, the exhibit relays an important story about evolution and the interconnectedness between life and earth.Ultimate Dinosaurs shows how continental drift over the Jurassic and Cretaceous periods led to overall increased biodiversity and endemism on each of the continents. That is, as these landmasses became more isolated, the dinosaurs associated with each of them grew increasingly different. 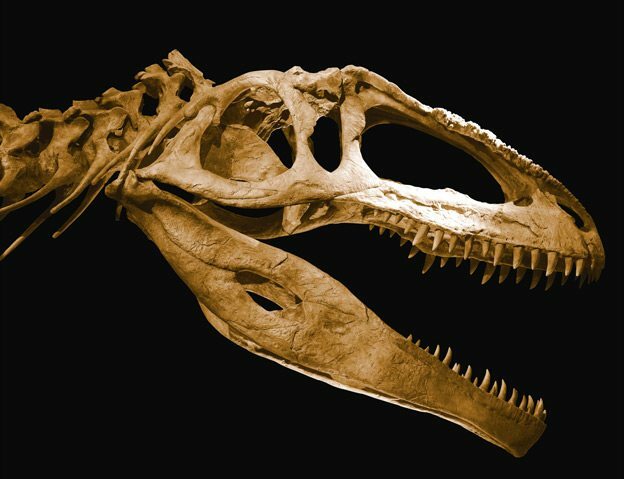 The fact that the Earth continues to change today (with sea level rise ever a looming threat) demands that we look back to the fossil record to learn about how life responded to such major environmental changes in the past.Ultimate Dinosaurs isn’t just fun; it delivers an important message relevant to our modern concerns. What are your favourite aspects of the exhibition? It’s difficult to choose. I think most people will be impressed by the full skeletal mount of Giganotosaurus, which was a meat-eating dinosaur that exceeded local favourite T-Rex in length. The long-necked Amargasaurus, with twin sails running down its spine, will be popular, too. But I think my favourite has to be Austroraptor, which was a close relative of the familiar Velociraptor, only much larger – about the size of a polar bear [in comparison, Velociraptors — unlike those portrayed in Jurassic Park — are actually the size of a large bird]. Jurassic World introduced us to the idea of dinosaur hybrids last summer, but Austroraptor is about as close as you can get to a cross between a Velociraptor and a Tyrannosaurus… and it really lived!